Co-owner, Scott Miller, has been successfully installing radon air mitigation systems in Maine and NH for more than 15 years. Scott holds a BS in Toxicology from Northeastern University in Boston and maintains certification for air mitigation with the State of Maine. Paula Howland brings a variety of life experiences to the business including client relations and organizational skills. With a focus on customer satisfaction Paula will ensure that we provide the best possible service to our primary clientele, namely realtors and homeowners. What we do: RRMC serves western Maine, the White Mountains Region and areas south. 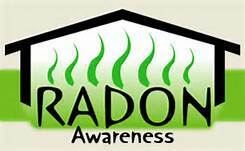 We install, service and warranty radon air mitigation systems. 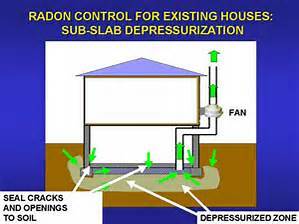 The installed systems improve indoor air quality by reducing moisture and radon air levels thus faclilitating the sale of homes. This is most often achieved by sealing soil gas entry points, creating a vacuum beneath the home and venting the soil gas safely above with the use of an inline fan (SSDS). 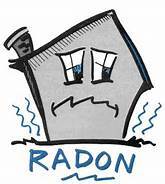 What is Radon? What does it do? How do I know if it's in my home? How do I get rid of it? All these questions and more can be answered by clicking on the icons below.